When I was in high school, my mom made one of many trips to the emergency room (ER) with a blocked intestine due to Crohn’s Disease. This visit was particularly memorable because her doctor was out of town and the ER staff was inexperienced in what was then a fairly new treatment – total parenteral nutrition. They inserted the line into her vein in the wrong direction. Let’s just say it was painful and unpleasant. When her doctor returned, he told her that if she ever had to go to the ER while he was away again, she could tell them how to treat her and they would be legally obligated to do that. I have often wondered how that would work since it is only lately that providers have started really including patients in treatment discussions. (Let’s face it, ER doctors in the mid-1990s would have not taken patient instructions well. Even now it would be . . . unwelcome.) I’ve researched the doctor’s advice from time to time, but could never find a legal authority a process like that would fall under. It took a combination of laws and a discussion with a friend to figure out how it would work. Back then, and even now without insurance, ERs are not obligated to treat us unless we are about to die. It’s a common misconception that EMTALA says that all you have to do is get to an emergency room and they will fix you up. First, EMTALA only applies to hospitals that participate in Medicare. Second, the emergency room is only obligated to screen you for an immediately life-threatening condition and stabilize you. That being said, EMTALA still has some juice if you are experiencing an emergency. Pair it with the next law, and you should be able to get what you need. If you do decide that the ER is the best way to go, arm yourself with knowledge of the doctrine of informed consent. Basically, it means that, as long as you are mentally competent, you can refuse any treatment the emergency room proposes. In my mom’s case, that means that if the ER doctor was not inclined to treat her the way she wanted (I believe a blocked intestine qualifies as a immediately life-threatening condition), she could keep refusing until they arrived at the right treatment for her. Or at least they were prohibited from subjecting her to a treatment she didn’t want. There are definitely times when the ER is your only option for a chronic or autoimmune condition in crisis (i.e. the “cardiac incident” I had once because I messed up on my own medication and almost stopped breathing at work, but that’s a story for another day.) But in my experience, rushing, overworked staffs that have to literally work miracles with what they have, are an option of last resort, to be avoided unless a call to your provider (or whoever’s on call) results in an inadequate or unsuccessful course of treatment. If you have to go, keep in mind that you are not entirely at the mercy of providers you don’t know. It’s hard to speak up for yourself in a situation so bad that it requires an ER visit, but you know what’s best for you and you have a right to receive the care you know you need. P.S. Informed consent applies to all care – surgery, therapy, treatments prescribed by your provider in his or her office. If you don’t like the direction in which your care is going, you can always say no and discuss an alternative. Ever Heard of Job Lock? It’s when an employee feels they can’t leave a job (or take a more appealing opportunity) because they will lose their health care benefits (or the more appealing opportunity does not have adequate health care coverage). When I was in college, I wanted to be a political consultant – a pollster, maybe a strategist. But there was a major roadblock standing in my way. I needed to work on Capitol Hill to get a better understanding of the political environment and make the connections I would need. But bottom tier jobs on the Hill did not come with health insurance back then. Or salaries above about $20,000/year if you were lucky. Hardly enough for rent and a diet of just Kraft Macaroni and Cheese in Washington. You could only stay on your parents’ insurance until you were 23, and any gaps in coverage could allow your next employer to deny coverage of your chronic condition for up to 18 months. You had to have a HIPAA letter attesting to your continuous coverage if you changed jobs at all. No job I could have gotten then would have paid enough to cover COBRA. So, that was the end of that. Instead, I got jobs with large companies that took my career in a direction I didn’t necessarily want to go. But it was a paycheck and fairly inexpensive coverage, at least until the last few years. I spent most of the time unchallenged and using skills I’d developed before high school. Then the Affordable Care Act (ACA or Obamacare) passed and I got the idea for this blog. I want to transition eventually, to write full time on issues important to our chronic and autoimmune community. If Republicans scrap, sabotage, or otherwise tank the individual market, I won’t be able to do that. Neither will many others. Our economy is on track to move away from the big corporations and more toward an a la carte market where small businesses provide tailored, less expensive solutions to a host of business concerns. But entrepreneurs with chronic or autoimmune conditions who don’t have access to affordable healthcare won’t be able to get off the ground. Large chunks of their starting capital will have to go toward keeping themselves healthy enough to work. And it’s not just us. Our healthy parents and spouses may feel like they are locked in, as well. My father didn’t particularly enjoy his job. He was good at it, but it wasn’t what he would have chosen for himself. He was offered other positions, and I know my mother encouraged him to take something that would make him happier. However, with my and my mother’s health issues – there was a time when it seemed like there was a new crisis every week – he was reluctant to leave what was, by 1980s/1990s standards, comprehensive health insurance. It was just too much of a risk. He was stuck, too. The current administration is doing its best to sabotage the ACA. If the President succeeds, not only will it return us the days of financially crippling healthcare costs, it will additionally keep us from creating the best, most creative market we can because those with potentially impactful and entrepreneurial ideas will not be able to find a way to get them to market. We talk about healthcare with an edge of panic because being able to literally live is the primary concern, and our incomes shouldn’t be what decides who lives and who doesn’t (yes, it can come down to that). But let’s not forget that there are ripple effects, too. The United States has one of the most educated, but underemployed workforces in the world. Can you imagine what our economy would look like if we could all contribute the way we wanted to? Call your Congresspeople, all of them. Tell them you want them to keep and fix the ACA. It’s worth the time spent on a few phone calls. There’s more at stake than we think. There are pieces of the health insurance puzzle that aren’t as well-known as the others. Like those last puzzle pieces around the edges, coinsurance and secondary insurance are not as definitive to a policy as central pieces like premiums or deductibles, but still vital to finish the whole. Coinsurance is when you pay a percentage of the cost for a service or medication and the insurance company pays the rest. You probably have coinsurance built into your plan. It can be instead of co-pays or in addition (for out-of-pocket expenses). It can also be applied to the entire cost or the remainder after the plan pays the negotiated price for service. If you can figure out how many and what portion of service and medication costs coinsurance will cover under your insurance plan, you should add the calculation to your estimate of total annual cost before you choose your plan. Generally, plans with lower premiums have a higher percentage paid by the patient, and higher premiums have lower percentages. Secondary insurance is exactly what it sounds like. It’s when you are covered by two separate insurance policies, a primary that pays most of your expenses and a secondary that picks up what’s not covered, or most of it (hopefully). You may not be aware that you are allowed to have two insurance policies. Most people don’t. However, if you have Medicare, you can also have another plan such as an individual plan, a plan from your employer (previous if you are retired), or Medigap insurance, or if your family has two working adults, you can buy coverage from both employers. Coordination of Benefits (COB) rules dictate which plan is primary and which plan is secondary. Each state’s insurance commissioner sets guidelines that help insurers determine which plan is primary and which is secondary. Once that is settled, the primary will pay for what is covered under its plan as if there weren’t a secondary plan, and the secondary will consider what the primary plan has paid, and decide what to pay of the remaining costs. A secondary insurance plan can’t pay anything toward the primary plan’s deductible. If both primary and secondary insurance plans have deductibles, you may have to pay both before full plan benefits kick in. Well, except if you are talking about Medigap, Medicare’s supplemental insurance. Outside of Medicare, though, things work differently. Secondary health insurance is a second main insurance plan. Supplemental insurance adds categories to what is covered under those main health insurance plan(s). Vision, dental, accidental death and dismemberment, long term care insurance, and Aflac-type plans that pay for regular living expenses should you be incapacitated can all be considered supplemental plans. Purchase of supplemental insurance depends on the cost and availability of the plans, as well as how much risk you have for each insurance category. Most employers offer vision and dental insurance, and most people purchase it if they have the opportunity since teeth and eyes can develop issues if not properly maintained. But there are other types of supplemental insurance that could also be helpful. Accidental death and dismemberment insurance would be valuable to someone working in construction. I bought long term care insurance when I was 29. I suspect I will need it one day and the company didn’t require a medical exam if I enrolled in the first 30 days of employment with that employer. I wouldn’t need it for a long time, but I might have never gotten the chance to buy it so cheaply again. Many employer-based insurance plans do their best to sync with government plans, which means that Open Season will start on November 1st for most of us. There are a lot of elements to consider when picking or updating your insurance coverage (such as calculating costs, health savings, and plan basics). As you calculate costs to make your choice, don’t forget to factor in the options above. Coinsurance can be an unexpected and unplanned-for expense that is harder to calculate than some other types of payments, but secondary or supplemental insurance can help you get close to 100% coverage. Good luck picking your plan! There are multiple ways you probably pay too much for your plan. Most of us just look at the monthly premiums and choose the best coverage for a cost we can manage. But when choosing a plan, know that more than just premiums are going to burn a hole in your pocket. Premiums are pretty straightforward. It is the set monthly cost you pay for your coverage plan. A rare (usually small business) employer will pay 100% of your premium. Most employers (and the government if you choose a plan offered by the Affordable Care Act (ACA or Obamacare)) pay a percentage of the total and forward the balance to you, which is deducted from your paycheck before taxes are applied. Every single health insurance plan has a premium. However, there are two other types of payments that should be factored in your choice, as well: deductibles and co-pays. All three vary with the level of coverage. The broader the services and medications covered, the higher the premiums, deductible(s), and co-pays. The balance is that, with higher deductibles, a plan usually has lower premiums and vice versa. That’s not to say that the premium + deductible amount will be equal between plans. It’s a matter of deciding whether you would rather pay more up front or over the course of the year. A deductible is the fixed amount determined by the plan sponsor (government or your employer) that most plans require you to pay out of pocket before your coverage kicks in. More lenient plans will allow co-pays for services and medications before you meet the deductible. You may have separate deductibles for in-network and out-of-network expenses. Deductibles can soar to over $10,000/year. For 2018, any deductible over $1,350 for an individual and $2,700 for a family qualifies you for a Health Savings Account. Co-pays are fixed amounts that you pay for medical services and prescription medication. The fixed amount is negotiated between the provider and the insurance company. For example, while all preventive services like your annual physical are free under the ACA, seeing a specialist might cost $30/visit and going back to your Primary Care doctor for the flu might be $20/visit. For prescriptions, co-pays are a little more complicated. There are usually tiers of drugs based on whether they are the generic version or the name brand, and what the overall monthly cost of the medication is. The co-pay is often less if you buy from your pharmacy provider’s mail order service since they can buy and distribute in bulk more easily that way. Now it’s time to calculate your total cost. * Co-pays are almost as straightforward as premiums. If you know how many specialist visits you will have per year (the regular ones, not the unexpected), calculating your total co-pay budget is easy. The prescriptions are also a fairly easy calculation if you read the part of insurance policy that lists which medications fall under which tier. The impact of deductibles on your budget is more difficult to assess. In addition to the number of times you see your providers, it helps if you know how much your doctors charge per visit. You can find these rates with the paperwork you receive from the doctor and the pharmacist. For prescriptions, there is often a label that shows the full price as well as the cost to the patient. For doctor visits, you may have to ask the provider, but sometimes it comes on the paper that shows the condition code (why you saw the doctor). With all of these numbers in front of you, if you can estimate how quickly you will meet the deductible and the remaining co-pays, you should be able to make a fair estimate of your annual out-of-pocket medical expenses. This will provide a useful tool to reconcile your monthly and periodic medical expenses with your budget, and hopefully make easier the choice of a health insurance plan. *I will discuss coinsurance, the last part of the equation, in another post, along with secondary insurance. 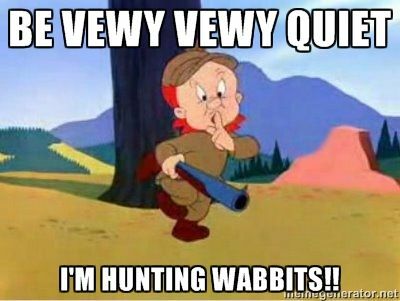 Still hunting wabbits . . .
Open season is still on the horizon, so I thought I’d offer another couple of health plan components that you may be able to choose from, the Flexible Spending Account (FSA) and Health Savings Account (HSA). Pretty straightforward, I thought, until my dad (the retired healthcare exec) laughed at me. Maybe not. There are several subtle and not so subtle differences between the two options, but they are still easier to understand than most health insurance policies. In a nutshell, FSAs and HSAs help you budget for your medical expenses with money that isn’t subject to income or payroll taxes. You usually can’t get both unless you are eligible for a dependent FSA (not discussed here). But if offered, you should take one or the other because, as Dad always pointed out, if you don’t take advantage, it’s like paying 133% when you don’t have to. The one thing that may limit you on this is monthly overall expenses since once you make your contributions, withdrawals for non-medical purposes come with a penalty. I would love to be able to max out my contribution (I’ve had each before), but often I need cash on hand to pay for other non-medical expenses. So, I try to get as close as I can to the total out of pocket maximum for my plan that year, as much as I can without limiting the ability to pay other expenses. I am also lucky that, if I do an annual wellness check, my employer will contribute a few hundred dollars (that doesn’t count against the maximum contribution limit). I get into what this means below. Often, you have an idea of what your annual medical expenses will be based on the previous year: regular medications, number of doctor visits, medical device supplies, whether you are going to need planned surgery like for cataracts, or dental work. Use these estimates to come to an annual total and divide by the number of paychecks you receive per year for the amount of your contribution per paycheck, and see if you can afford to lose that much at a time. If not, start subtracting until you reach a contribution you can afford. Then, if you have a choice, use our list to decide which option is the best fit for you. I will highlight the biggest differences between the two. The basics: Account is set up and owned by employer, there are no eligibility requirements, and no fees. Plan availability: Account is offered with both traditional health insurance plans (Health Maintenance Organization (HMOs), Point of Service (POSs), Exclusive Provider Organization (EPOs) plans) and high-deductible health insurance plans (Preferred Provider Organization plans (PPOs)). How it’s funded: Contributions are always deducted pre-tax from your paycheck. Distributions (when you pay for stuff) are tax free. What’s covered: Can be used to pay for health insurance expenses such as co-pays, deductible, coinsurance, and prescription drugs, as well as over-the-counter (OTC) medical necessities such as Band-Aids and medication (with a prescription – yes, your doctor should write you a prescription for OTC medication if you ask – does not include Band-Aids). You should check your plan, but most of them cover the things the IRS considers tax deductible. Funds availability: The entire annual amount is available on day one, but your employer may impose a penalty if you use funds for non-medical items. Rollover: Before the Affordable Care Act (ACA or Obamacare), the employee had to use the whole amount every year. If you didn’t, the remainder went to your employer. Now the employee can roll over up to $500 if the insurance plan permits it, and any funds rolled over are added to the next year’s maximum. Contribution: The IRS has not set the FSA maximum for 2018, but projections are that it will remain the same as 2017, $2600. Employers can contribute amounts that push the total past the maximum, and you can only change contribution amounts during open season or upon marital status change. Portability: An FSA will disappear with a job change unless you are eligible through COBRA (a limited and expensive continuation of a previous employer’s health plan). The basics: Account is offered by the insurance provider and owned by the employee. Some may have a small fee, which an employer usually pays, but you should read the fine print to be sure. Plan Availability: Only offered with high deductible health plans. To qualify for an HAS in 2018, that means a deductible minimum of $1350 for a single person/$2700 for a family and a maximum out of pocket cost of $6,650 for a single person/$13,300 for a family. Additionally, to qualify for an HAS, a health insurance plan must not offer any coverage beyond preventive care before the person/family meets the deductible. How it’s funded: Contributions are tax deductible or can be deducted before payroll taxes are applied to your paycheck. Any growth or withdrawal is tax free. Some people look to these accounts as a good investment. I invariably go through them in a matter of a few months thanks to consumable medical supplies and expensive medications. Funds availability: You can only use funds that have accumulated by the time of need, and if you use the funds for non-medical items, those funds will be subject to previously waived taxes, as well as a 20% penalty. Rollover: Whatever is left at the end of the calendar year rolls over and accumulates. What’s Covered: Can be used to pay for health insurance expenses such as co-pays, deductible, coinsurance, and prescription drugs, as well as over-the-counter (OTC) medical necessities such as Band-Aids and medication (without a prescription). You should check your plan, but most of them cover the things the IRS considers tax deductible. Contribution: The maximum contribution is $3450 for an individual/$6900 for a family. Individuals 55 and over can increase those amounts by $1000 (same for families), and you can adjust the amount of the contribution during the year. Portability: You are allowed to keep using HSA funds even after you are no longer eligible to contribute (if you switch to a plan that does not qualify as a high-deductible plan), and it can follow you from job to job. For more information on these types of plans, see IRS Publication 969. And if you have more questions about insurance before or during open season, please contact me. It’s October, the traditional kickoff of Open Season, a time when both employers and the government present health insurance plans for the following calendar year. The period given to make a choice is short, sometimes just a week or two in the private sector. The enrollment period for plans under the Affordable Care Act (ACA or Obamacare) this year is November 1, 2017 through December 15, 2017. Despite the long enrollment period for ACA plans, be careful when procrastinating this year. In an effort to depress enrollment in ACA plans, the Trump Administration has instructed the Department of Health and Human Services to allow the Healthcare.gov website to nurse its weekly hangover on every Sunday of the period, except the last one, December 10th. The site will be shut down from 12 a.m. to 12 p.m. on those days. For those of you who don’t procrastinate, the site will also be unavailable on the first night of the period, November 1st. These deadlines are important to remember. If you miss the deadline for either private or public enrollment, you can’t enroll in a health insurance plan unless you start a new job. Public and private plans tend to mirror each other since the passage of the ACA. One of the biggest things they have in common is the type of plans offered. Two of the most common are the Health Maintenance Organization plans (HMOs) and Preferred Provider Organization plans (PPOs). Coverage: Each insurance company has a network of doctors, hospitals, therapists, and other providers. A patient chooses a primary care doctor who is in the network. That doctor directs the patient’s care, including how much (whether they see other doctors) and by whom (which other doctors they see). If the patient needs to see a specialist, the primary care doctor has to agree that they need to and they must see someone in the network. Costs: The insurance companies negotiate a discounted rate with their network providers, kind of like buying in bulk. If the patient wants to see a provider outside the network, the entire cost comes out of the patient’s pocket. But premiums are generally lower and co-pays are minimal, set costs ($5, $10, $20). HMOs often do not have deductibles. Coverage: The insurance company still has network providers, but they are larger. There is no referral necessary to see a specialist so the patient decides how much care they need and who to see. If the patient wants to see an out-of-network provider, a PPO covers the cost, at least partially. Costs: PPOs still have negotiated rates with in-network providers, but premiums are higher. PPOs also have high deductibles and co-pays, which are a percentage of the cost of the appointment or drug. PPOs also have maximum out-of-pocket costs, which sounds good, but not when you realize that there are separate ones for in- and out-of-network costs, and may amount to several thousand dollars annually. You and your family will have to consider carefully which plan is right for your needs. How strongly do you feel about choosing your providers? I am very picky about my providers and tend to research a provider before I go or ask for names from providers I already trust. I do not want to be told I can’t go to the best providers for me just because they are out of network, so I have always had a PPO. That does not mean that there aren’t good providers in an HMO’s network. It just means that there are fewer options. What kind of plan fits into your budget? I have a pretty reasonable premium, but I have two deductibles, and could end up paying $10,000 out of pocket this year. Are the doctors you see in your plan’s network and do you have the relationship you want with them? If it matters to you to stay with the providers you have, this may be an important factor. How likely are you to need one or more specialists? Many types of non-MD specialists often fall outside of network coverage: psychologists/social workers, nutritionists, chiropractors, etc. 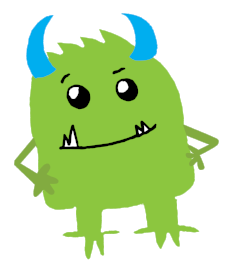 If you have questions about HMOs and PPOs, please email through the blog. I will try to answer your questions in subsequent posts. Once upon a time...You’ve just leapt into the next step of your career at the Most Selective Company in your field, or MSC. MSC offers several coverage options under the Marginally Generous Insurance Company, or MaGIC. The enrollment period for new employees is 14 days. If you don’t enroll in the given timeframe, you will lose whatever coverage options you had until the next open season. You lug home what feels like a banker’s box full of policies to sift through and forms to sign, but you know health insurance is the most important one. You have an expensive medical condition and can’t afford to pay for your drugs or doctors’ appointments out of pocket. But you’ve never had your own health insurance policy. The goal of a health insurance plan is to spare your wallet as much as possible. You will need to know what you can afford, what your needs are likely to be over the next year, and which of the plans MSC is offering covers the most of those needs. The longer one, typically 30-40 pages. The technical term for this one is the Summary Plan Description (SPD) and will have a longer title, likely with the words comprehensive and group in it. This is the “authoritative” document. If there are discrepancies between the summary and the SPD, go with the SPD. Once you have those two documents in front of you, feel free to pull in your partner or spouse if you have one to share your misery. You are going to do a document comparison! Lucky you. Review your family’s medical history. Make a list of the types of services you have needed, and the ones you think you will need. For example, if your condition requires consumable medical supplies (not drugs), you will want a plan that lists those kinds of supplies in the “Are Covered” list. Highlight the things on the list that are the most important to you: the most likely, most expensive, most frequent, etc. Once you have your list in front of you, and anyone else you want to torture sitting with you, take a look at the shorter document and assess if any of the plans would kill your budget completely just by the premiums and/or deductible (if it’s not listed separately, make note to ask whether the in-network and out-of-network are separate or not). If so, you have eliminated one plan to compare. Keep the summary open and open the SPD. You don’t want to hear this, but now you have to read the whole SPD. There is a place in that document that has an exhaustive list of what is and isn’t covered, but clarification often comes in other parts of the policy. Write any questions you have in the margins or on the paper that holds your list. Cross them out as you come across the answers. If the questions aren’t answered by the time you finish, you should ask MSC’s Human Resources staff for answers before you choose your plan. If the HR staff has to reach back to MaGIC for answers, be persistent, and remember that you are on a deadline. When you’re done, find that page in the SPD that you’ve already read with the list of what is and isn’t covered by the plans you are considering. Check it twice. If Santa can do it for a third of the planet, you can do it for a couple of health insurance policies. Once you have an idea of the plan you want, you can get a pretty decent estimate of your annual expenditure by estimating how many times you will need the types of services on your list and multiplying that by the fee listed on the summary for that service. Highlight anything you will need that isn’t covered and add that to the total, along with the out-of pocket maximum or deductible (if you’re like me, you burn through that in less than six months. ), and the monthly premium times 12. Now you know what’s covered and what isn’t. MSC has answered your questions. You’ve estimated what your costs will be over the next year. Time to choose a plan. Congratulations! You’re covered. Reader Kimberley Dahline of Finally Filed helps patients and caregivers keep track of their paperwork. She wrote in last week asking about how I keep track of mine (not just when I'm proud of my labs and pin them to the wall of my office cubicle.). There was too much to put in just one post, so here's the first. We'll post the second next week. One of the most complicated, frustrating, and time-consuming aspects of having any health issue is keeping track of the costs. Even if you know your policy inside and out, it (especially drug coverage) can change arbitrarily, with no notice from the company. I found this out the hard way when a medication I had on automatic renewal suddenly wasn't there when I needed it. The pharmacy I was using never told me that it wasn't filled, and they couldn't tell me why. When i called, I was told that the insurance company was no longer allowing prescriptions to be filled by retail outlets other than theirs. I could tell they hadn't notified anyone because there was a separate option just for that issue in their automated call menu. I was furious. It took four calls for them to "grant" me another month of my medication, and even then they set it up so I had to go to the other pharmacy within 24 hours, which I didn't have time to do. So, I had to call again. Because, you know, I have nothing better to do with my time. Anyway, I am sure every one of you has had a similar experience. I can’t fix that completely, but I can offer suggestions that will help keep you one step ahead of the eight ball. 2. Copay -- the fixed amount you pay for a provider visit or drug. If you have a copay, you do not have a deductible. a. In-network is for providers and prescriptions that the insurance company has a lower cost arrangement with. These are usually lower than out-of-network. b. Out-of-network is for providers and prescriptions that the insurance company has no arrangement with. These deductibles are higher, and may or may not be partially fulfilled by the in-network deductible. 4. Coinsurance -- the percent you pay for a provider visit or drug after you meet your deductible. Coinsurance is used with deductibles. If you meet your deductible, you continue to pay a percentage of medical costs. That percentage is coinsurance. Knowing what you will be expected to pay throughout the year is vital to tracking your costs. Step 2. Establish a relationship with your insurance company (optional, but recommended). This step has been made optional by concierge services offered by insurance companies. However, I still like calling at the beginning of a policy (new job, change in company, etc.) and asking to speak with a senior account manager. I tell them that I expect to be calling often and ask if they would be willing to act as my point of contact so I don’t have to keep repeating my issues to whichever customer service representative picks up the phone. The service desk folks are not likely to know the details of your plan or the needs of your condition, and looking up the answers to your questions can take a long time while you are on hold. This is also a way to keep abreast of any changes that the company doesn't tell you about. If you decide to forego this kind of relationship, make sure you record the name of the person you speak with every time you call the insurance company, as well as the time/date, and what the resolution to the issue was. In my experience, previous conversations with customer service representatives are often either recorded incorrectly or not recorded at all. Step 3. Reconcile your paperwork. You can do this online or in hard copy, as most companies offer their explanations of benefits (EOBs) in electronic form. An EOB is an accounting of what bills the insurance company has received from what provider, on what date, and what portion insurance paid. For each drug, lab test, doctor visit, or other medical service that is submitted to the insurance, you should receive an EOB. This will help you track your deductible and how close you are to your out-of-pocket maximum. Some statements will have those numbers on the EOB. When you receive your medical bills from your providers, take some time to check the bills against the EOBs to make sure that the numbers match. Often, they won’t. For example, I was paying a fixed cost for physical therapy appointments, which should have ended at the therapist’s office, but somehow, I have a bill for $103 from them. This is a reason for you to call your insurance representative. · Choose a regular interval to review your records depending on how often you require medical services (monthly, quarterly). · I keep a binder, which is how my father taught me. I write details of insurance company phone calls directly on the bill I am calling about. But you can keep electronic files it that's your comfort zone. Either way, make sure you store them in a secure (these do contain sensitive information), but easily accessible location. Mine are in a locked box with my business records, right next to my desk. · If you have to call your insurance company, choose a low call volume time of day (usually early in the mornings and at the beginning of the month), or schedule a regular time with your representative. · Keep a written list of your condition(s) and medications, so you can see where each charge falls. You can also use it for new providers instead of filling out a form for each one. You may also want to keep a short medical history to avoid having to fill out the same forms for every different provider. My father read the post last week and wanted to add some of his strategies, as well. According to him, since you have a chronic condition you may already have a Major Case Manager and not even know it. Most payers (insurance companies) identify their most complex cases and assign experienced personnel to manage them, so that a person calling for the first time might even tell the customer service representative, who is often a first-level screener, that s/he has a complex case, and ask if a 'Major Case' Manager has been assigned. If one has, then ask to be connected to that person's voicemail, or if they are not available, for that person's name, email and/or phone number with the extension. If the screener says that no Major Case Manager has been assigned, ask to speak to a supervisor. If there is one assigned but the screener will not or cannot (against company policy) connect you or give the contact information, ask to speak with a supervisor. Screeners at this level are unlikely to get belligerent, but if they do, mention that you could always call your state's Insurance Commissioner if it continues to be an issue. We hope it never comes to that, but if it does, you will be prepared. Always remember that they're there for your convenience, not the other way around.